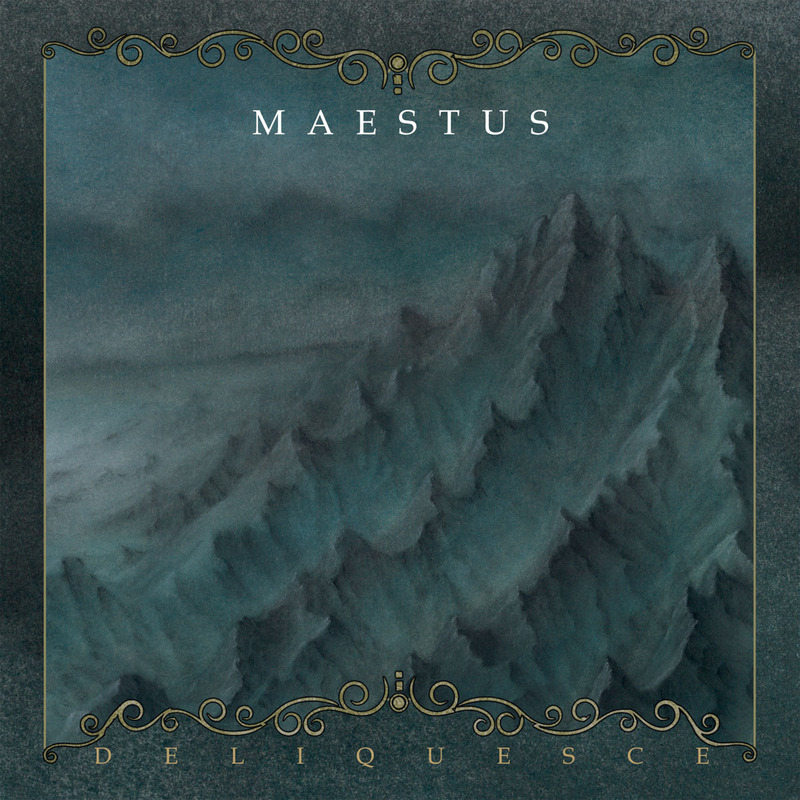 MAESTUS will release 'Deliquesce' via code666 on February 8th in CD, vinyl and digital formats. “Uplifting” is not typically an adjective ascribed to bands in the doom-drenched realms, but for Oregon group Maestus, it fits. While the band describe themselves as “forlorn and despondent,” the result of their emotional undertaking is, despite its mammoth weight and sepulchral trappings, an ultimately sanguine journey. Only by suffering that most oppressive crucible of Maestus’ lumbering dirges can the listener emerge on the other end, bathed in the band’s shimmering twilight glow. Explore their new track “Black Oake,” the second of four on their upcoming full-length record Deliquesce, in our exclusive premiere. “Black Oake” is a bit of an outlier in comparison to the three other tracks that accompany it, in that it is an entirely straightforward doom piece. Where Maestus in other places char their doom over an open bonfire for plenty of blackened blast madness, here they refrain from adding in these components, urging the merciless march forward with each crack of the booming snare. Maestus invest time and care into nurturing their riffs and melodies. Each movement in “Black Oake” is given time to ferment, to stew in its own muck and mature at its own pace. As a result, the natural progression of earworm to earworm is a fluid one, and once that one riff from the middle of the track sinks its insidious claws into the tender mush of the listener’s brain, there’s no hope of dislodging it. Aware of the potency found in contrast, Maestus rein in their assault midway through the nearly-12-minute song, establishing a valley in which their listener might catch a few stolen breaths. From this valley, Maestus snake their way up towards the next peak, nurturing that central riff as it swells and blossoms over the ensuing ascent. The guitar harmonies stack layer by layer, the drums amplify their barrage, and by the time the end is reached, the once-tranquil melody has metamorphosed into a bellowing beast. Maestus will release Deliquesce via code666 on February 8th in CD, vinyl and digital formats. Pre-order the album now from code666’s website or on Bandcamp. Ivan Belcic is a writer, musician and artist currently living in Prague, Czech Republic.